This 17th Century English fly to the best of our knowledge has not been made anywhere since it’s inception until right now here in South Africa. You will note it is the unacknowledged forerunner of the so-called ‘Czech Nymph’ design and it also imitates net-spinning caddis larvae so beloved by our yellowfish. The originator of the concept of what is probably the world’s first weighted nymph style is Colonel Robert Venables and is first described in his book ‘The Experienc’d Angler’. Venables was a senior soldier in Cromwell’s ‘Roundhead’ army in the English Civil War. Hence the name we christened the nymph above. It is easy to use new materials and fly tying methods, but I am trying to do as simple and authentic tie as would have possibly been done in the 17th Century. 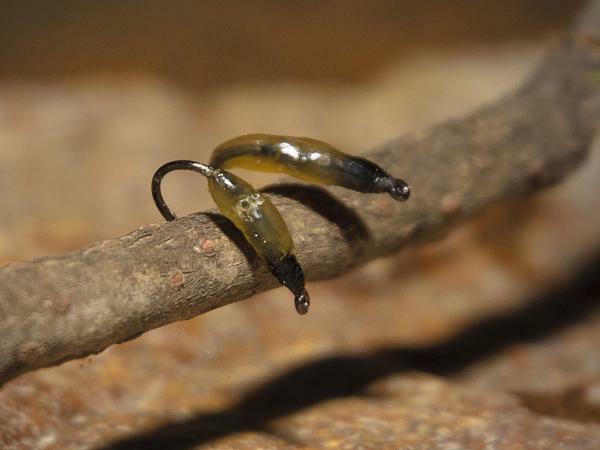 Hook – size 10/12 (barbless/debarbed) curved caddis medium or heavy wire – any of the regular ‘Czech nymph’ brands in your local tackle shop will suffice. Curved hooks were also available in the 17th Century! Underwrap – wraps or strips of lead (lead-free preferable although not so authentic!) light or medium wire on to the bare hook shank. Do a slightly wider underlayer and a smaller overlayer. The aim is to get a slender body tapering at each end. Look at the far hook in the close-up for an idea. Aim for same shape as a slender Czech nymph underbody. Do not use thread for underbody, let the lead shine through. Body – yellow raw natural beeswax. Go to your local arts/crafts or for the authentic experience visit your local beekeeper (see ‘Sabio.co.za’ website).The beeswax does smell of honey and any bait angler will tell you how our freshwater fish love honey! Warm the wax first in your fingers if the weather is cold and mould the wax into a caddis larva shape leaving space in front of the hook eye for the tying thread head. Get your kids and youngsters involved! Thread – lastly tie a tapered ‘caddis larva’ shaped head using simple black haberdashery cotton, silk or floss. Fish the fly as a control fly Czech nymph style. 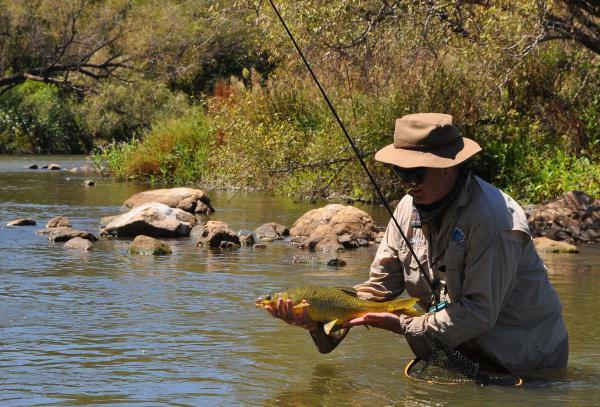 A couple of tips: the air and/or water temperature can vastly affect the consistency of the Roundhead. Warm weather makes the fly translucent and sometimes sticky and it can melt. If you are worried about the honey smell and/or about your fly melting, you can add a couple of layers of varnish or epoxy or UV Loon to the fly. Keep the flies in your cooler bag in warm weather. A special thanks to my international fly fishing historian friends for their support on my experiment and also to my fishing mate Andrew Schloesser for his great photography. A 17th Century English beeswax fly concept fast-forwarded into the 21st Century by one little yellowfish caught in a South African river in the 2 billion year old Vredefort Dome, the world’s largest asteroid impact crater. Now that is what it is all about!